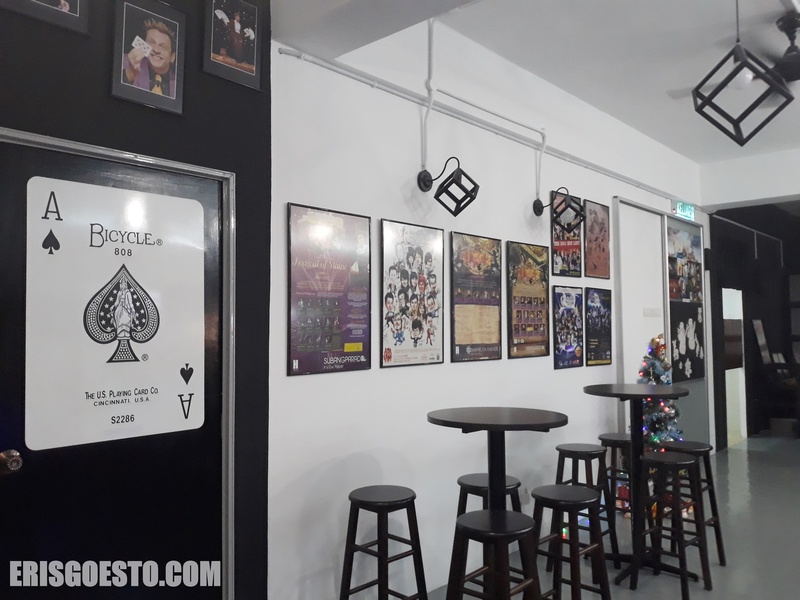 S and I recently checked out this new cafe which had a unique concept: a Magic Cafe. 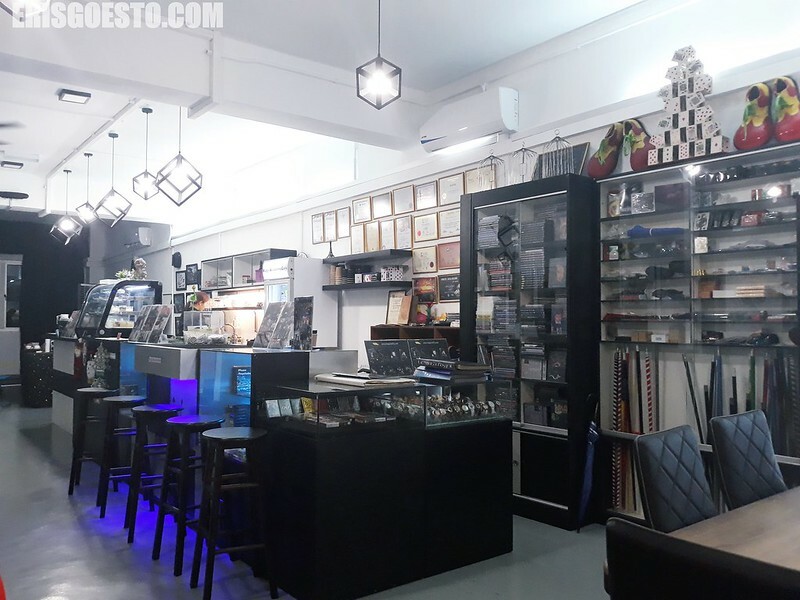 Run by a group of magicians and magic enthusiasts, the newly opened space is located on the second floor of a shoplot in Taman Meranti Jaya, Puchong. 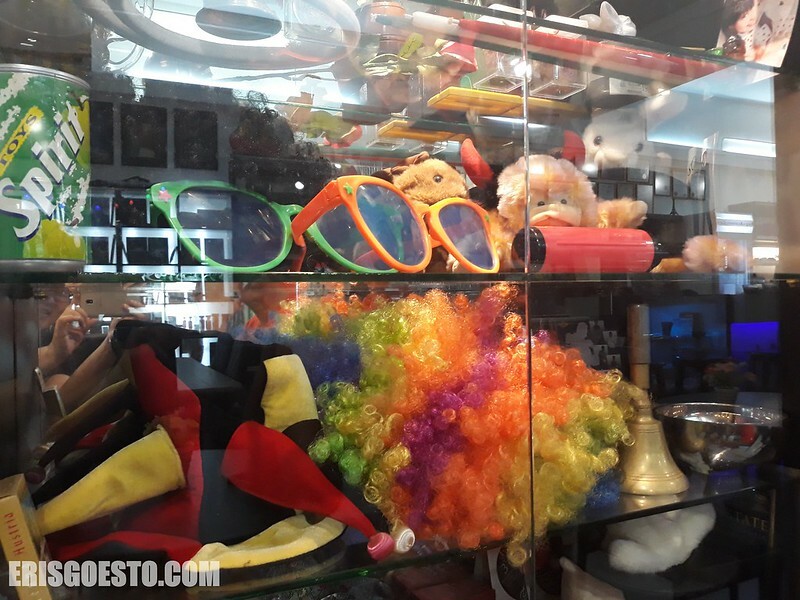 It’s really more of a magic shop than it is a cafe, but the bonus is you get to tuck into some drinks and snacks while browsing. 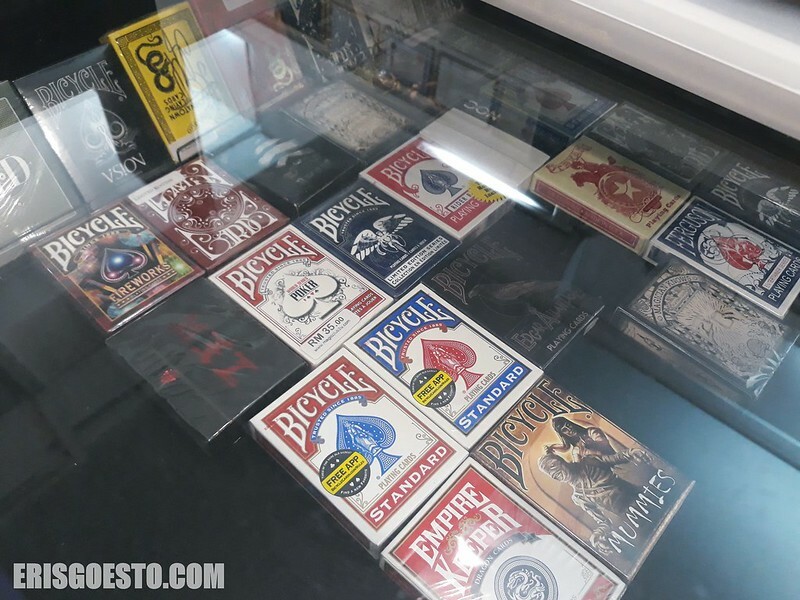 Decor features magic-themed posters like cards, performance flyers, etc. The counter/kitchen area with a small selection of cakes. 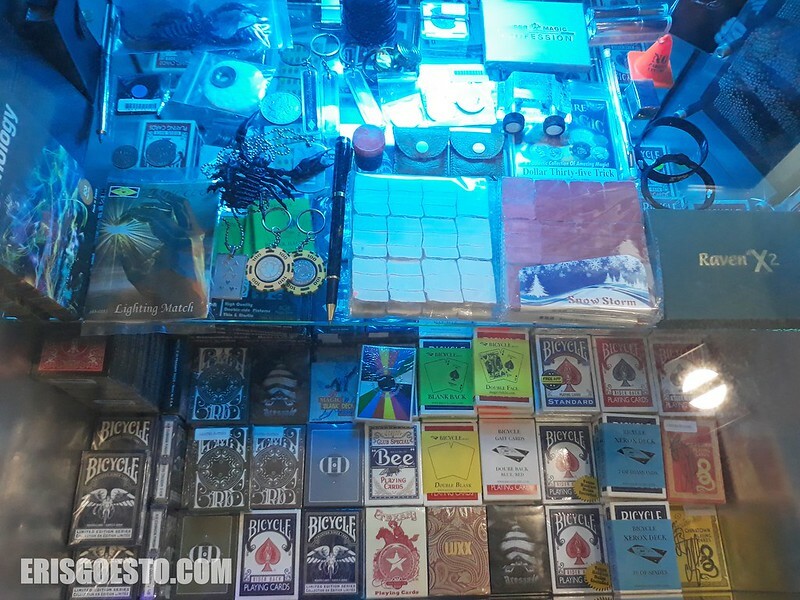 There is a stage on the left but the shop is mostly occupied by magic equipment and paraphernalia, from CDs to cards, trick items and more. 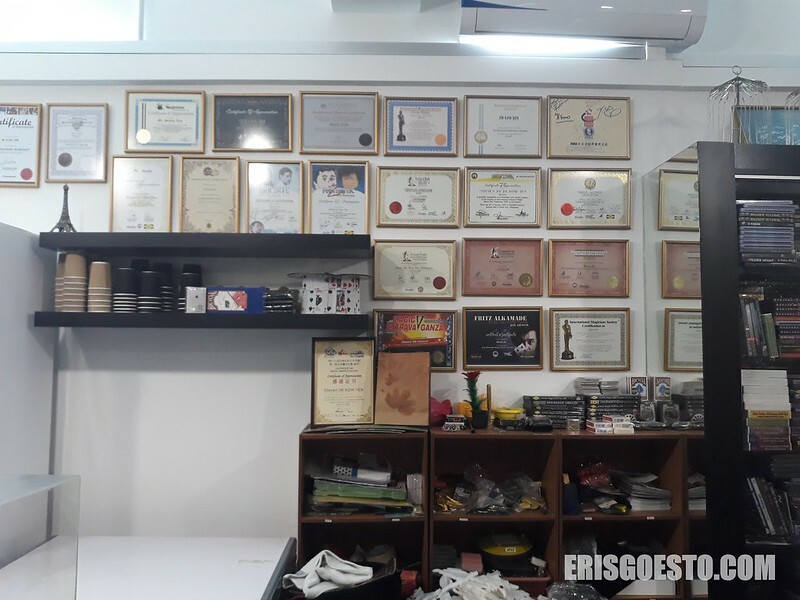 Certificates and awards owned by the cafe’s proprietor, I presume. Moving on to the food/drinks served. 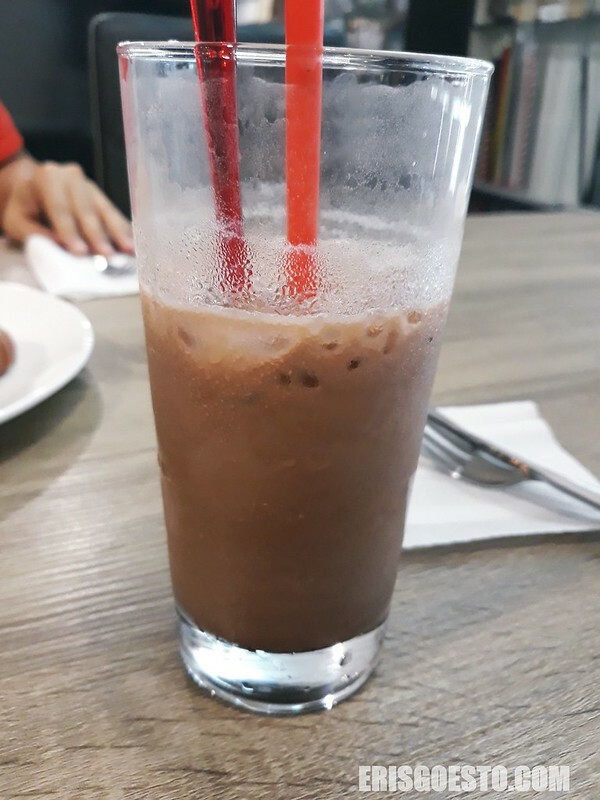 Forgot to take a before photo of this iced chocolate. It was pretty good. I was hungry and decided to order a burger. They don’t have a printed menu yet so I asked the cashier/cook what she’d recommend. 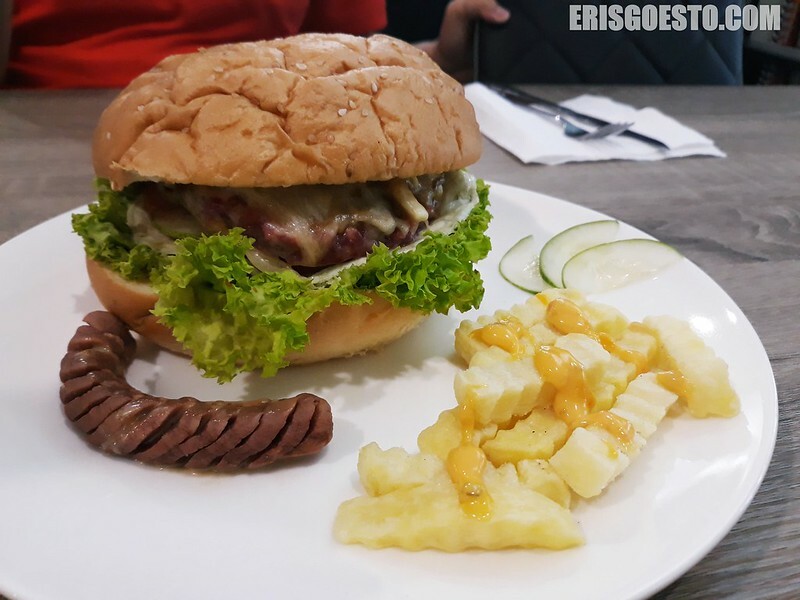 Wasn’t impressed though.. they don’t have a real kitchen and I’m guessing the food was simply popped into a microwave because the fries had that just-out-of-the-freezer hardness ,the sausage was rubbery and the burger patty was an odd pink colour, as if it was raw. I’d give this a 2/10. So yeah, drinks maybe, food no-no. But come for the magic shows which I think they have on certain days.